Gracias Signor ! et Gracias Muchachos ! I just came back from a Honduras Mission. This is the summary of my trip. On 9-24-08, I left DFW at 6:30 a.m. to Houston and to Tegucigalpa. I arrived there around noon. We, a general surgeon from Honolulu, Dr. Lee, retired Nurse Val Miller, and myself were met by Teresa-local missionary coordinator from Kansas City. On the way to Choluteca, we had an Italian Lunch. 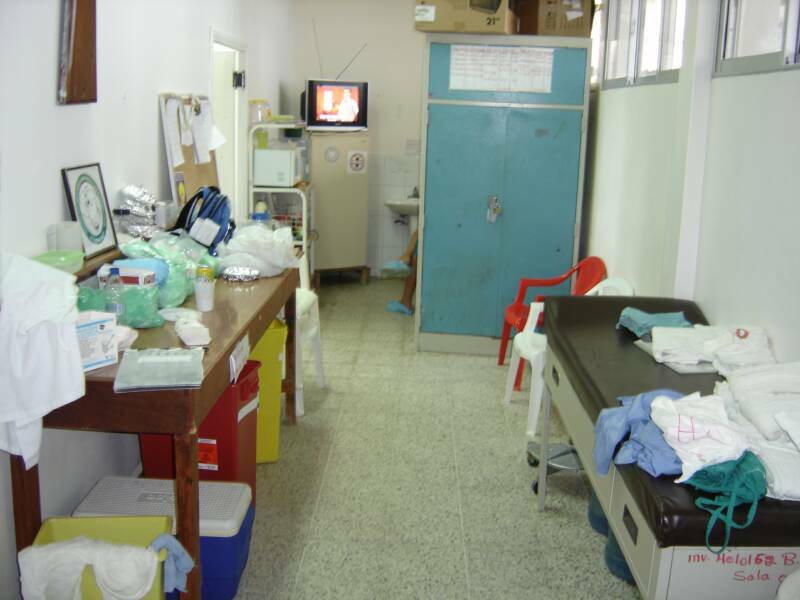 We arrived at the Hotel around 4 p.m.
We got to the Hospital around 4:30 p.m. At the clinic, a Honduran Doctor was screening patients for possible surgery. Teresa told me that the surgical team was waiting at the operating room. 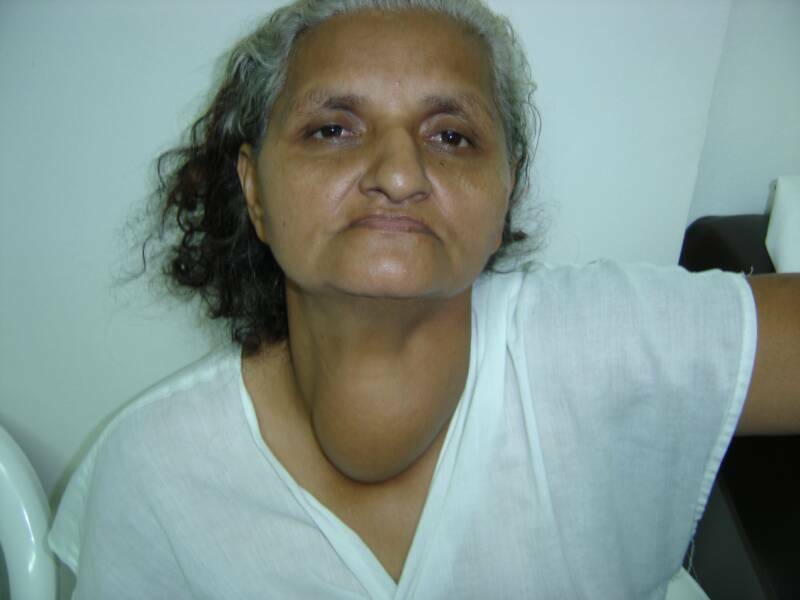 I looked at a few patients and decided to do 2 thyroidectomies that night. 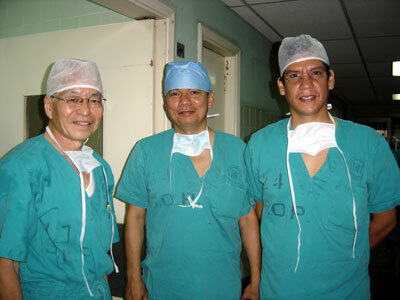 I went to the operating room and asked them where I could change my clothes. They told me to go to the bathroom. It was wet and dirty. 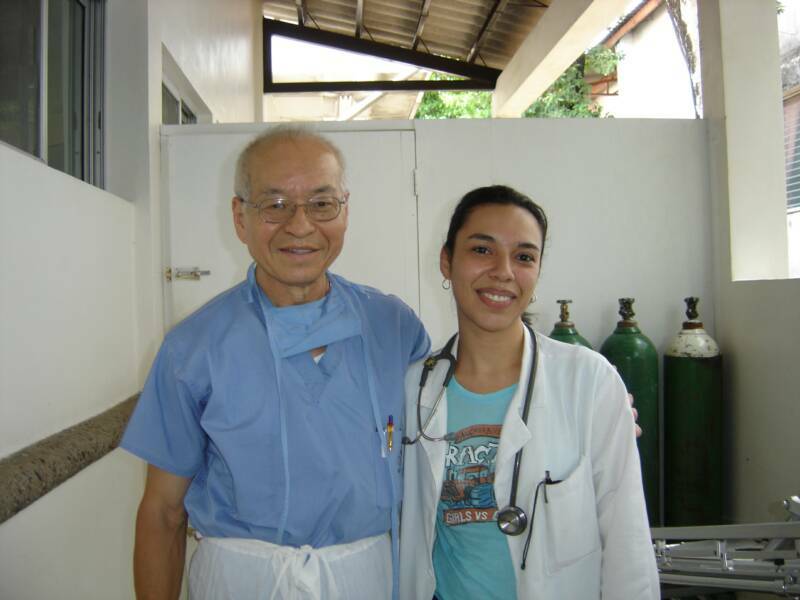 I had a very hard time changing to the surgical scrub suit. 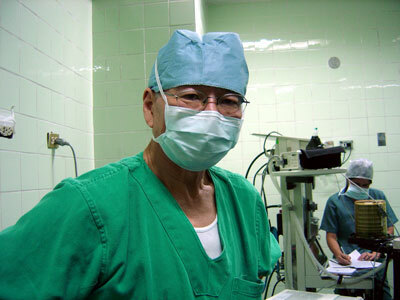 At 6 p.m., we started the surgery and finished around 10 p.m.
Dr. Barahona, a honduran general surgeon, helped me. After surgery, we went to the hotel, had dinner and rested. On 9-25-08, at 7 a.m., I went to the hospital to make rounds. I started surgery at 7:55 a.m. Had 3 thyroidectomies, one septoplasty, one nasal polyps, 2 cases of facial lesions and saw 12 clinic patients. I had one ENT Doctor and 3 general surgeons that came in turns and helped me. Lunch was brought in. At 9 P.M., the hospital told me that unless it is an emergency, I have to stop. So went to the hotel, had dinner and rested. On 9-26-08, I went to the Hospital to make rounds and went to the operating room. They didn't have gowns to work with. The laundry finally came around 8:45. We started surgery at 9 a.m. 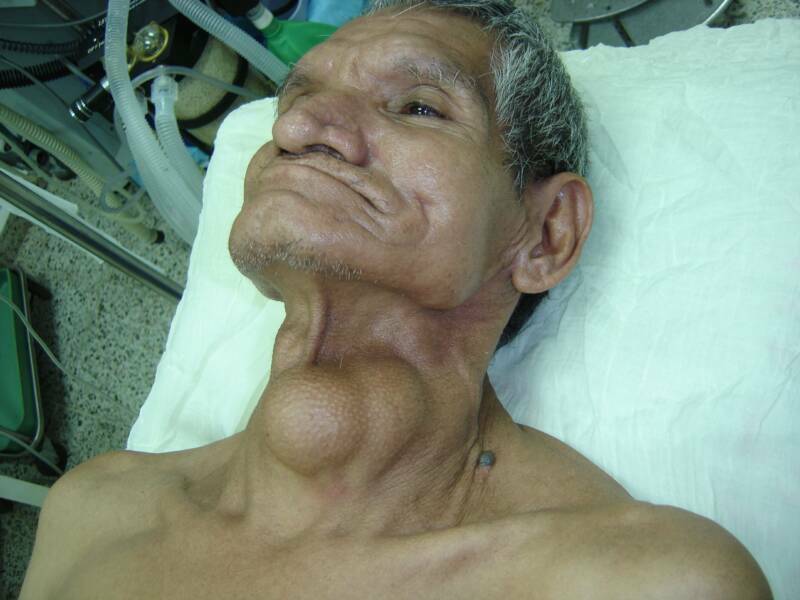 The first case had such a large thyroid, it took us ( Dr. Barahona & me) 3 hours. It was as big as a tennis ball. 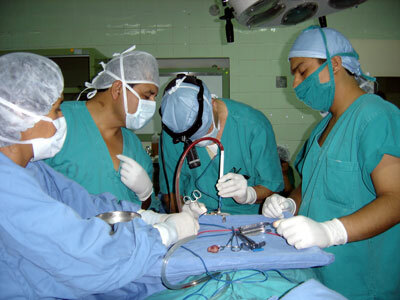 Another General Surgeon helped on the next 2 thyroids. couldn't operate, so I went to the Hotel at 6 p.m.
On 9-27-08, I went to the hospital at 7 a.m., made rounds and went to the operating room. They didn't have gowns again. We had to wait until 10 a.m. when gowns came. We started surgery at 11 a.m. I finished one thyroid and was just finishing septal surgery at 5:30 p.m., a thunderstorm came and the operating room was flooded. We all pitched in to sweep out the water. Then we went to the hotel to eat dinner. Came back to hospital and started another thyroid surgery at 8 p.m. It was so large, like a tennis ball. I finished at 11 p.m. and went to the hotel to rest. 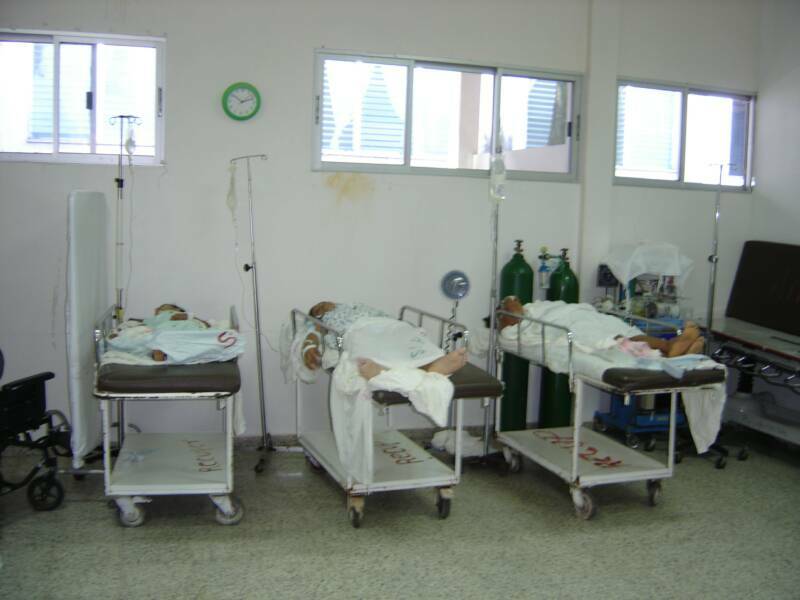 On 9-28-08, I went to the hospital to make rounds and left Choluteca at 8:30 a..m. to go to the Airport. After I checked in, I had only 30 minutes to spare to board the plane. I arrived at DFW at 6:30 p.m. I had only one head cover and one mask for all 4 days of surgeries. No shoe covers. I used one cautery pad for all these cases. No extra EKG pads and we had to use 3 pads for all of those patients. We had to put gel on them and tape them to the patients. Cautery machine didn't have a foot pedal and I couldn't do T&As. We had only one oxymeter sensor for the patient's finger and had to use the same one for all of those patients. The bathroom does not have any towels or tissue to wash your hands. The most amazing thing is that 2 anesthetists handled all these cases with no problems. I really appreciated them. There is no pre-op room. Patients are waiting outside of the operating room building with an IV and just sitting there. The reason that they have so many thyroid nodules is that they use sea salt with no iodine. The government should educate these people to use Iodine. . I have to figure out what is best for these patients. I would like to send those EKG pads, cautery pads and Oxymeter sensors to them. If any of you can save them for me< I would greatly appreciate . 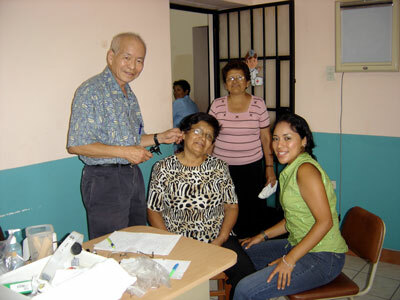 I am planning to go back to Honduras in January or February 2009 and would like to take some of you who are interested to go help these people. Also Teresa needs donation of used car which is less than 6 years old. It is charitable donations and can deduct from income tax.